Ah, yes! A very nice mix of hicks pix! Love the “manic Taylor” in pic #3!!!!! O.k., having spent a bit of time….the last one has done melted my butter…whew. on October 14, 2008 at 2:10 am | Reply J. Number 8! Genuine smile. Love it. The perfect antidote to a horrendous day! OK.. so, whatever he’s signing in the last one, I want 10 copies!! Thank you for these, TH. Love 1,3 and 8. They don’t just rock my socks, they knock them right off. I love all the pix again. Number 7 being my fave. Is he looking for that ice cream cone in the sky? 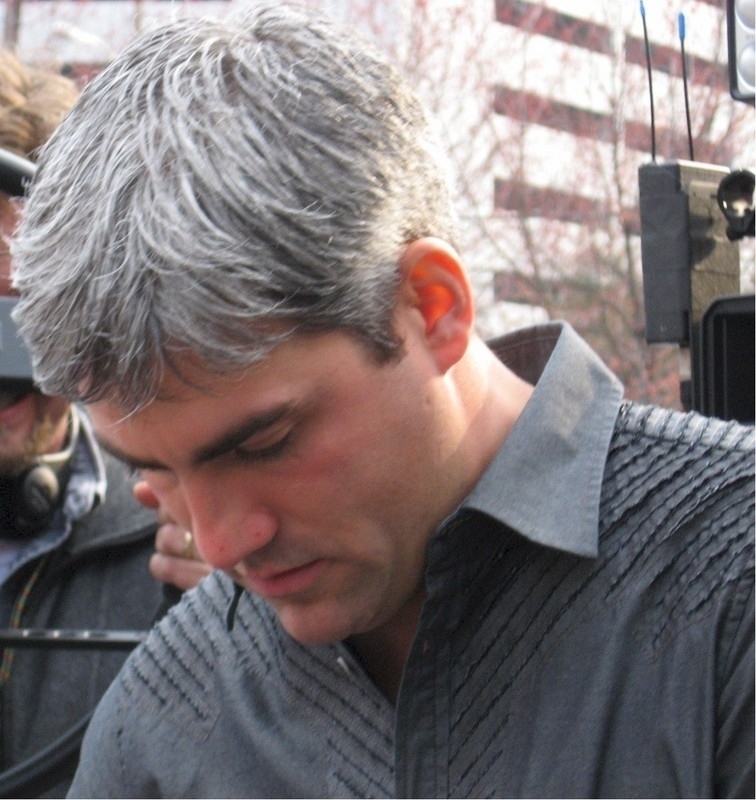 How is it possible for him to ALWAYS to find just the right grey shirt? He looks very handsome in that color. 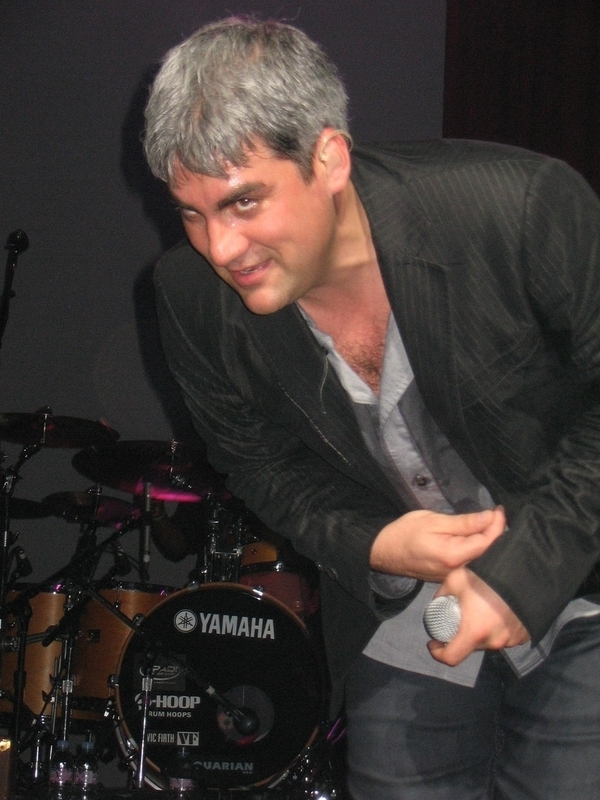 #5 L is for Loving Taylor Hicks! #6 Is that Bill Will in 30 years to his left? Thanks for the pix fix! Check every day for your gifts. haha, Picture Mixture, say that a few times in a row. 🙂 I love that shirt he’s wearing in #4. #1 says “Come to me, baby” and I am so there!! Whoa, #1 has absolutely everything going for it…but #4, that classic serious Hicksian profile shot is lovely too. Love the mix of happy, serious and playful pics today. And what’s with the bunny on the wrong side of his shirt in #2? I kept looking to see if it was reversed but it’s not. Must be a knockoff from the bins at the Izod outlet store. I really want to be that sharpie in the last one——–who would have thunk that any sane person would dream of being a sharpie????????? O Taylor, what you do to me………. That side profile is always a killer. I’m havin’ the vapors soulaz – get me some smelling salts! Many of these are new to me. SEXAY….he is all man and a damn fine one at that. #8 is Taylor at his best – natural, fit, and rested. I’m green with envy over this meet and greet photo. Oooo – photoshop! Yeah, sure, why not? I’ve been living in a fantasy for the last 2 1/2 years anyway. I think there is going to be a fight over #8…but, I love them all!!! Great Photos of our man!! Love them all. He does look a bit devilish in #1, eh? Gah, so cute! Love all of them! Number eight is my favorite.. great smile.. Moe bangs.. and of course the obvious..
Ahhhhhhhhh – #1 brings back memories of Birmingham. Patay — I’m also sane (at least I was about 2-1/2 years ago!) and I wanna be a sharpie, too. And Juliegr I think you hit on a great album title with “shades of grey”! #4 and #8 are very nice. Aw these are so cute! He’s such a cutie! Love love love #1 and #8! All of the above and more !! My favorite part is that Taylor seems very open and looks like he is enjoying his fans. #1,4,6 and 8…..who do we appreciate…..TAYLOR !!!! OK very lame but it rhymed. Love the pics. After a trying day at work, this is just what I needed. I love all of the pix in the mix, but 3 and 4 are my favs. Ummmm #3 and #7… yep, that about does it. Those did me in. Thanks.